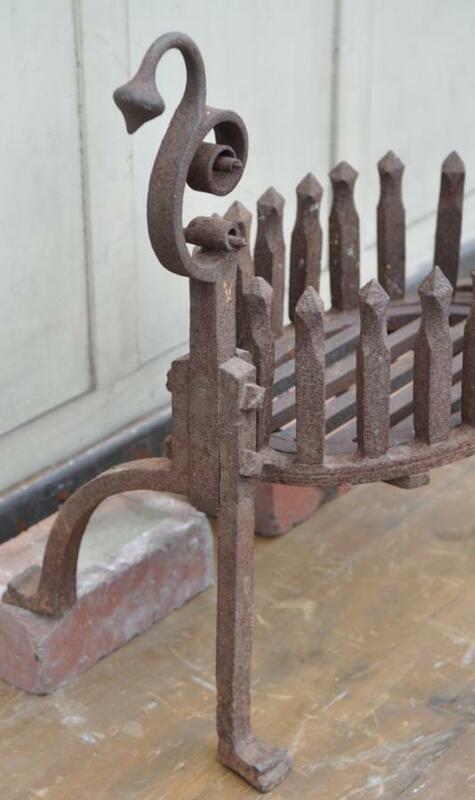 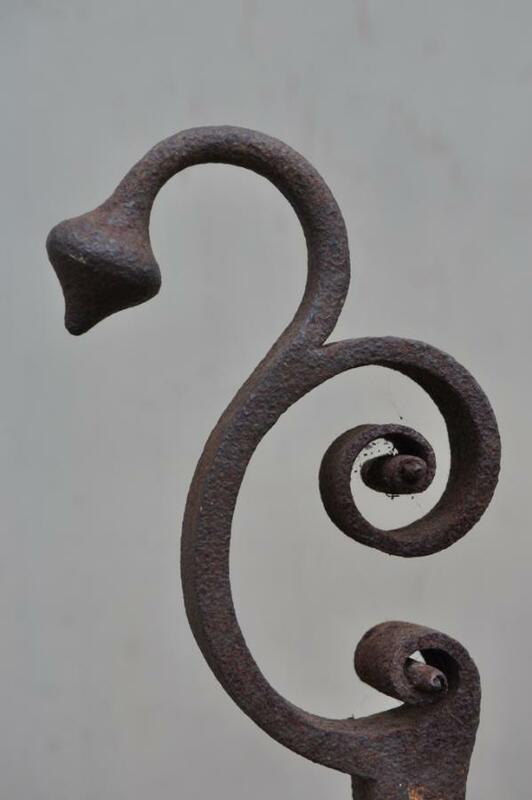 An antique oval wrought iron dog grate 19th century. 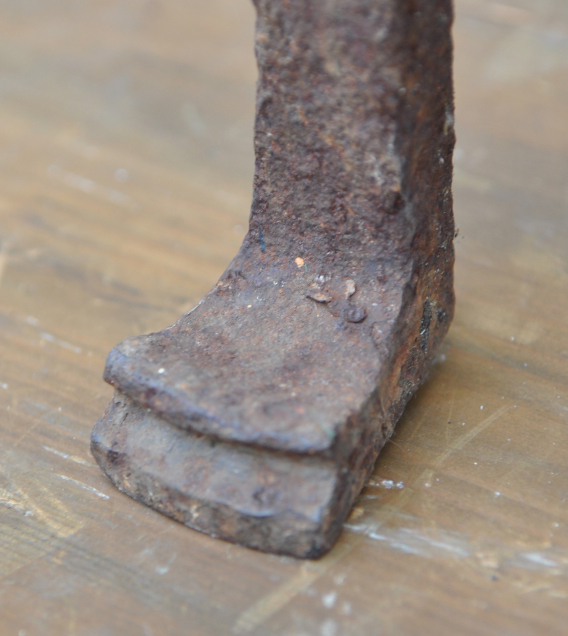 Rivetted and bolted construction with a welded replacement base grill.Right hand support has a lean -could be fixed or used as is. 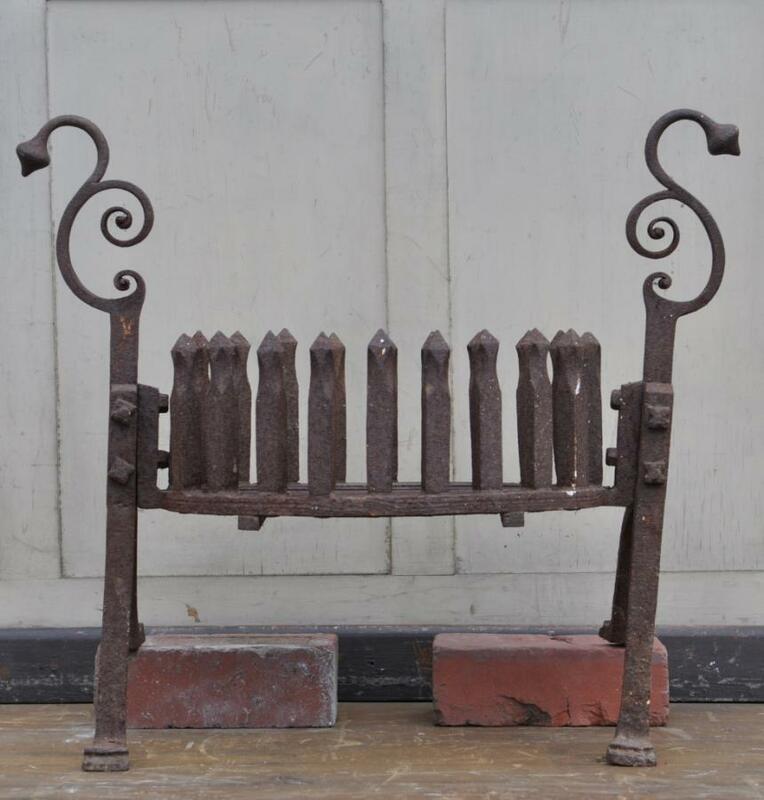 Dimensions in inches/cms; 25.5/65 max width x 23/58 max height x 13/33 max depth Base of fire approx 9.75 " from floor Inside of the grate is 13.5/34 wide x 9/23 deep x 5.75/14.5 high.